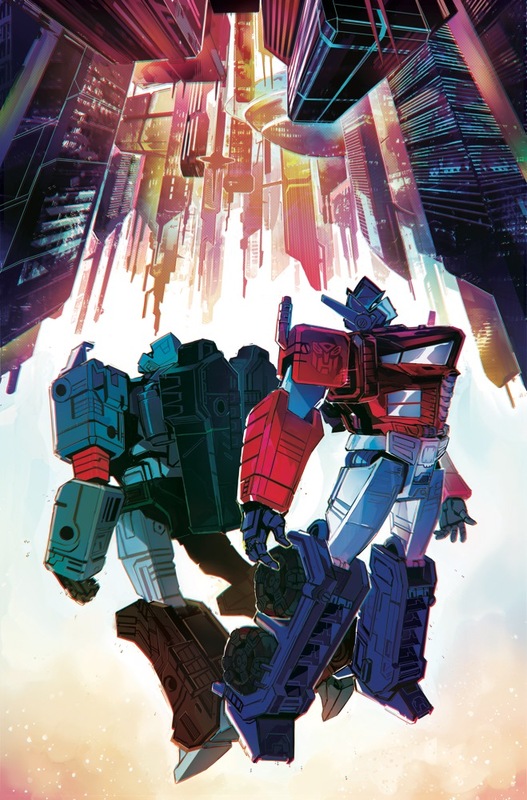 IDW have posted their Transformers comic solicits for May 2019. The new Transformers ongoing continues in May with issues 5 and 6 of the new series by Brian Ruckley. We’ve got some information on some new characters being introduced into the series – namely Rubble, who sounds like a young Cybertronian finding his way in the world, and Codexa, an ancient Transformer who sounds like she might play an “Oracle of Delphi” kind of role. We’ve also got cover art for both issues 5 and 6. Issue five features cover art from Andrew Griffith and colors by Thomas Deer – and we’ve also got the lineart via Andrew himself on Twitter. Then issue 6 features a surreal piece of cover art by Jack Lawrence. Check out both covers and the full solicits attached to this post. A brand new era of Transformers! I'm glad we don't have Orion Pax in this pre-war story. Optimus Prime straight from the get go. 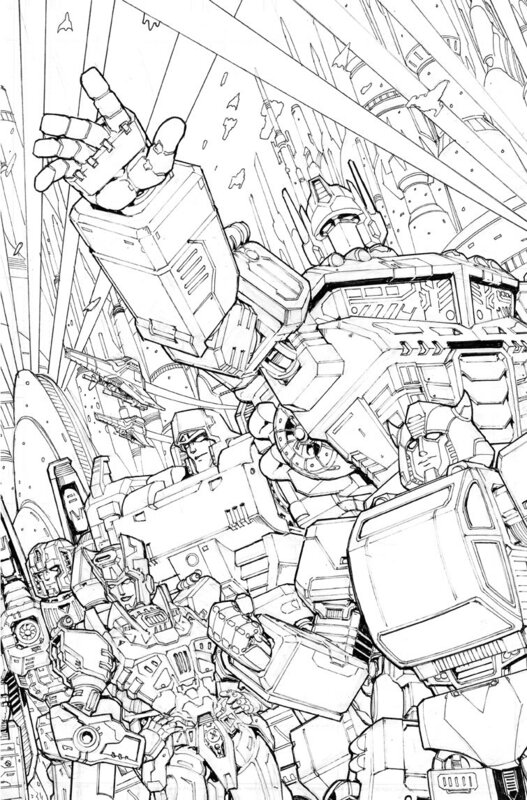 Look that that Megatron – wait, no… who\'s the artist?! You\'re not supposed to draw the 5mm pin holes! Check out the artwork for this book. Or maybe an official Throttlebot combiner? Or even just the throttlebots. Nooooooo. We need the Micromaster combiners in part 2! Is that a bad thing though? I’d say just leave them be to ponder. And if they’re right that’s great, but if they’re wrong it’s cool. Maybe the minicars will replace the patrols for WFC 2 Electric Boogaloo? Or maybe Part 3? OR maybe the sequel to WFC, on Earth? Bee and all the minicars are conspicuous in their absence in Siege. Guess they'll be featured more in whatever WFC part two is. maybe they might make a orion pax mini series in this continuity in a year or two. So is that Bumblebee going to get a toy next year? Gotta say, I was really blown away when I first saw this cover for # 6 – it's beautifully done, really gives me the feels. Just amazing by @Andernell. View attachment 28211333 Does that cover remind anyone of Liefeld's Captain America? “A cosmic epic of grand scale” kind of jumping to conclusions a bit to soon there don’t ya think I mean all the promotion material looks pretty good but it’s a bit soon to be 100% certain just yet. 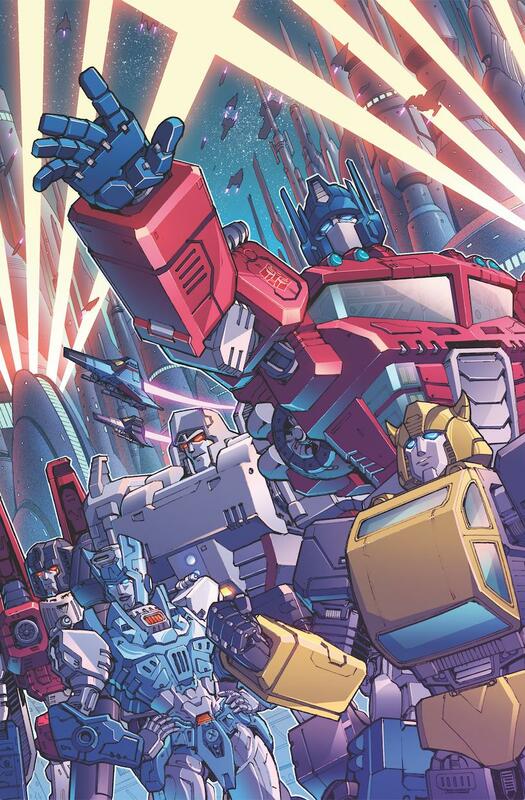 Also perhaps I’m being a bit abstract here but I seem to recall that Optimus Prime has had issue 6 as his spotlight before back in phase 2 in the IDW Robots in Disguise storyline. How many times does something need to happen for it to be a thing? It's #Transformers meets #PointBreak in this special standalone issue by new series writer @Brian_Ruckley! I. AM. AN. F. B. I. AGENT!